A cache of skulls? Could this be the leftovers from a feast for crows…? 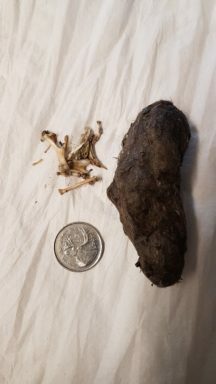 You are looking at the contents of a dissected owl pellet alongside a 25 cent coin for scale. As birds of prey, owls hunt everything from insects to birds to small mammals. Owls swallow their prey whole. However, their digestive system is unable to digest materials such as fur, bones and feathers. So, to protect the owl’s internal organs from being damaged by sharp materials that cannot be broken down, owls will regurgitate all un-digestible materials as pellets. Scientists dissect owl pellets to study their food sources. It looks like this owl has had a full meal of mice! How many mouse skulls can you count? 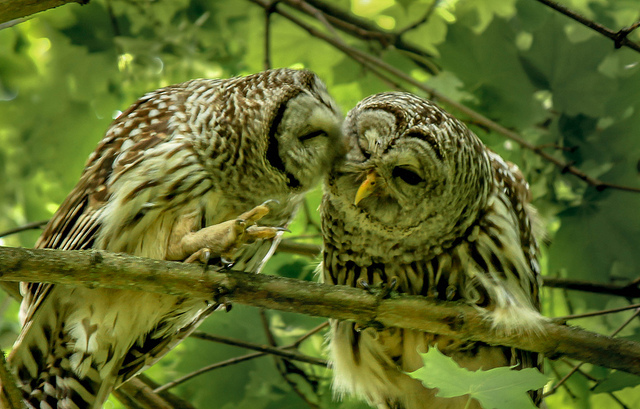 A number of owl species are found in Stanley Park including barred owls, western screech owls, and northern pygmy owls. Summer day camps with SPES begin on July 4th. 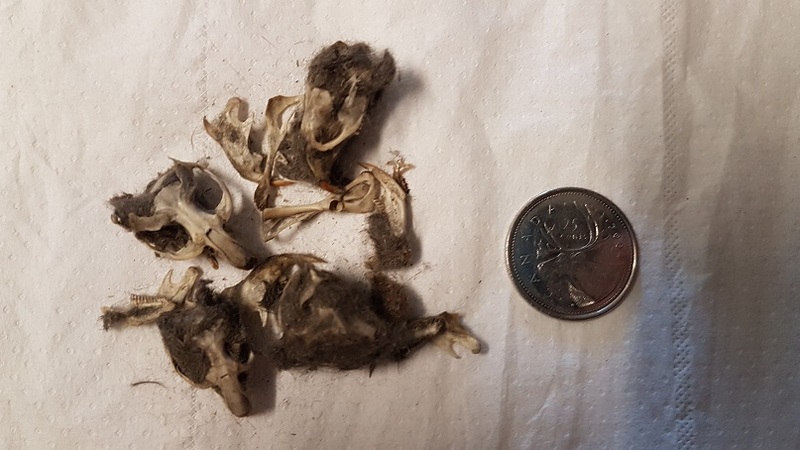 We are kicking-off summer day camps with a week all about Feathered Friends, where campers will get the opportunity to dissect owl pellets for themselves.